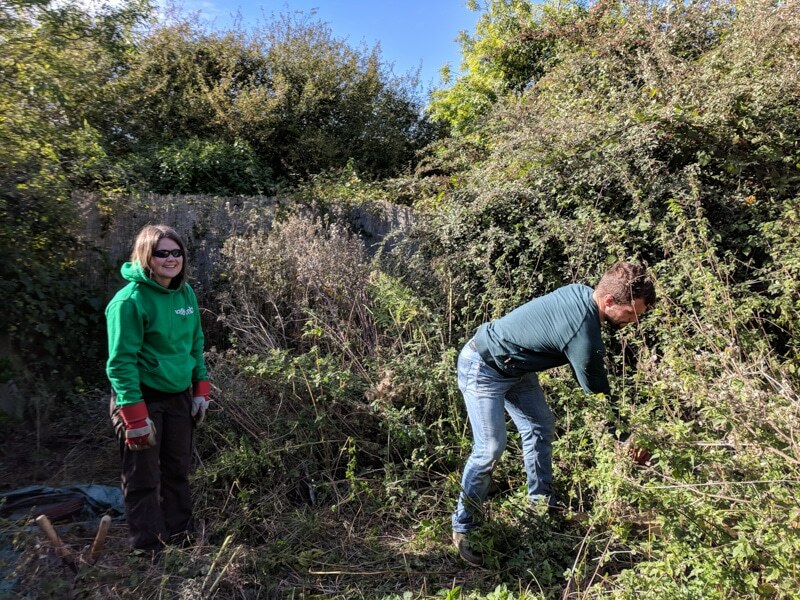 Our usual morning’s activity in the garden was extended to a whole day as we had volunteers from Network Rail who had generously agreed to come and help us. 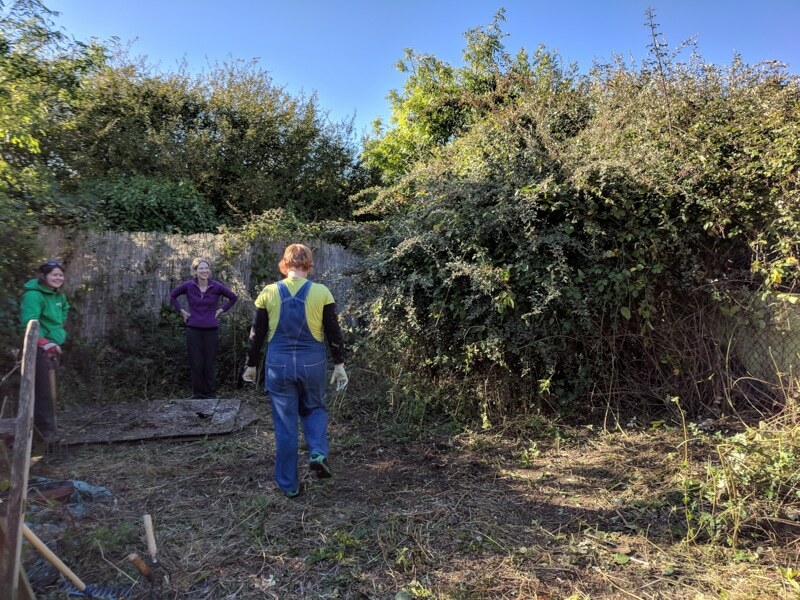 We started with the permaculture plot at the entrance where we spent the full morning pulling up bindweed and cutting back nettles, dock and couch grass. 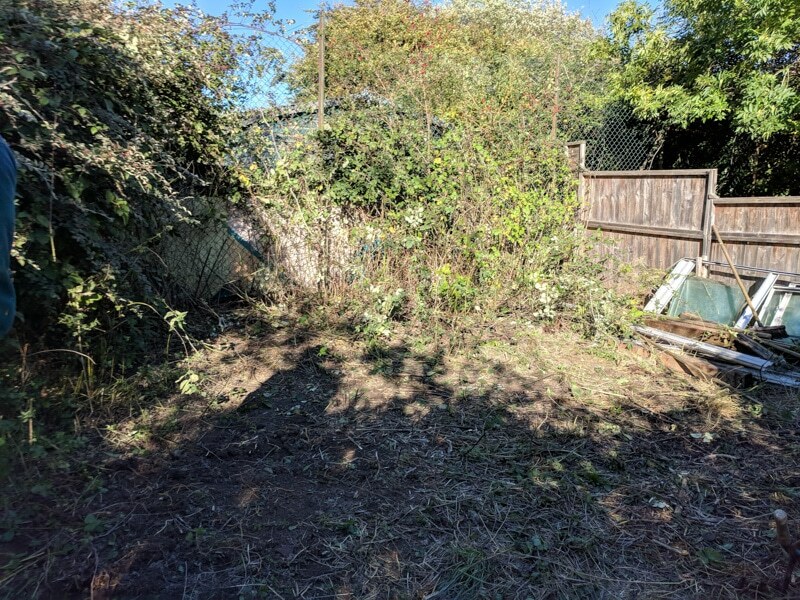 You can see from the “Before” pictures just how bad it had gotten from all the underground stems and creeping shoots popping up around the fruiting shrubs and miniature trees. The blanket of weeds was certainly starting to take over the “Forest Garden” demonstration bed. 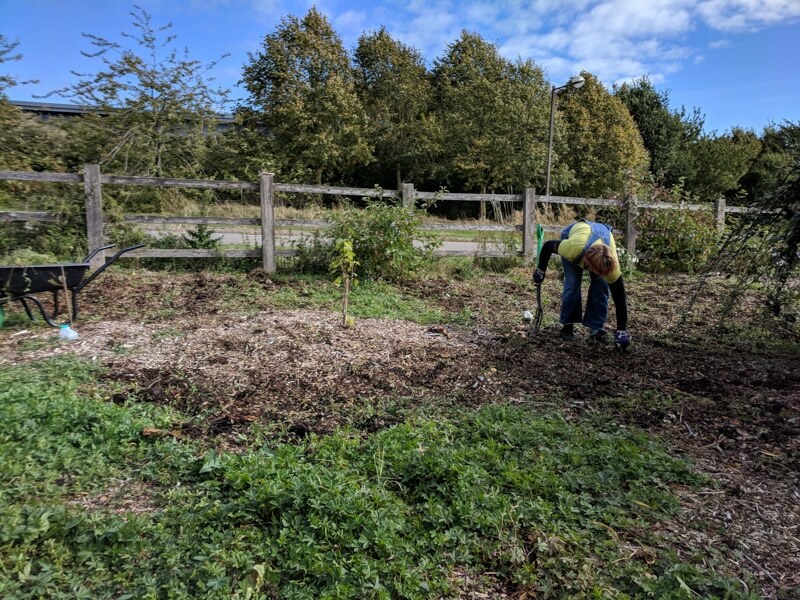 Our volunteers diligently got to work to remove the weeds, especially bind weed, that was starting to take hold and strangle our plants. 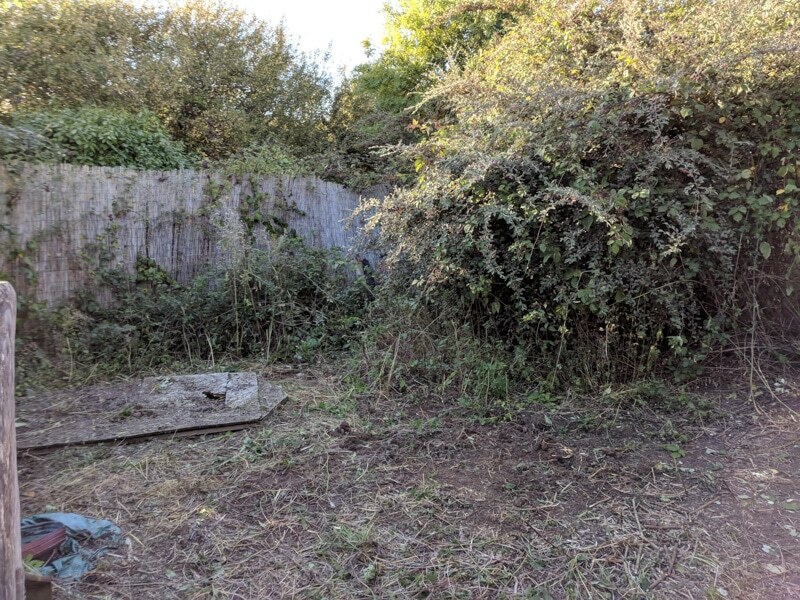 A few hours later, what was becoming a plot covered in green weedy patches, was transformed to it’s original glory, revealing the fertile, woodchip mulch underneath. 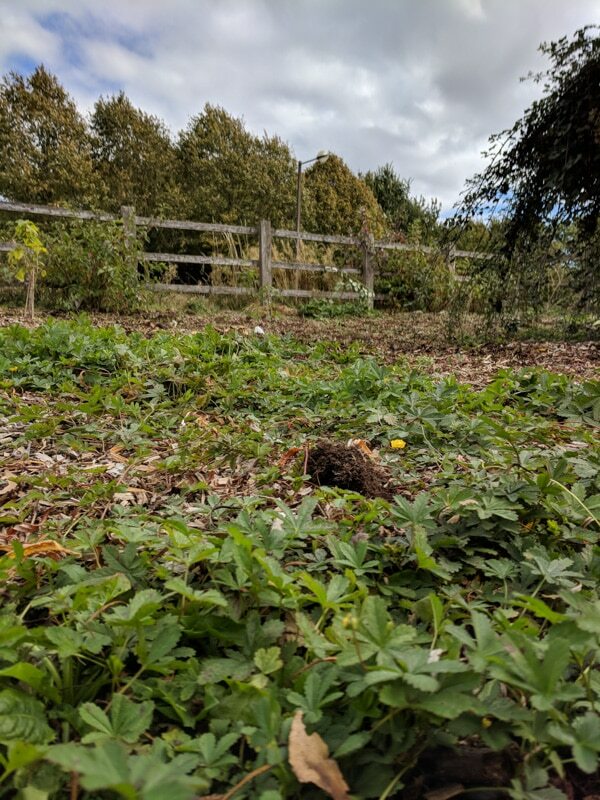 We did our best to leave the mushrooms and give our friendly plants some breathing space, and even found time to plant a patch of yellow raspberry shoots that were kindly donated by (our resident MK professional gardener) Ruth Crossfill. All that remains now is for us to keep the weeds at bay and top up on the layer of woodchip on our next permablitzes. 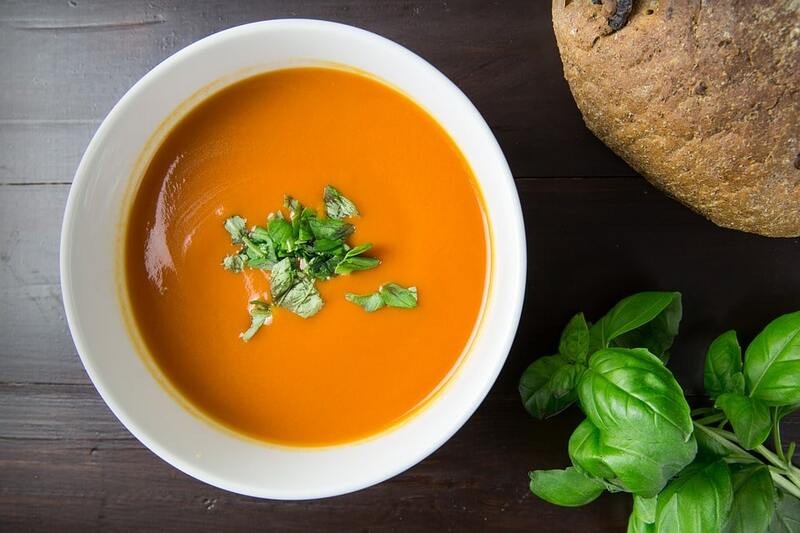 We worked up an appetite with the morning’s work, so the roast butternut squash and red pepper soup (that Frances Fox made for our volunteers as well as all the Westbury artists), complemented by some bread and cheese, went down very well. The home-made apple pie (with custard) that Clare Butler made to share with everyone was the finishing touch, providing the proverbial “cherry on top” to our lunch. 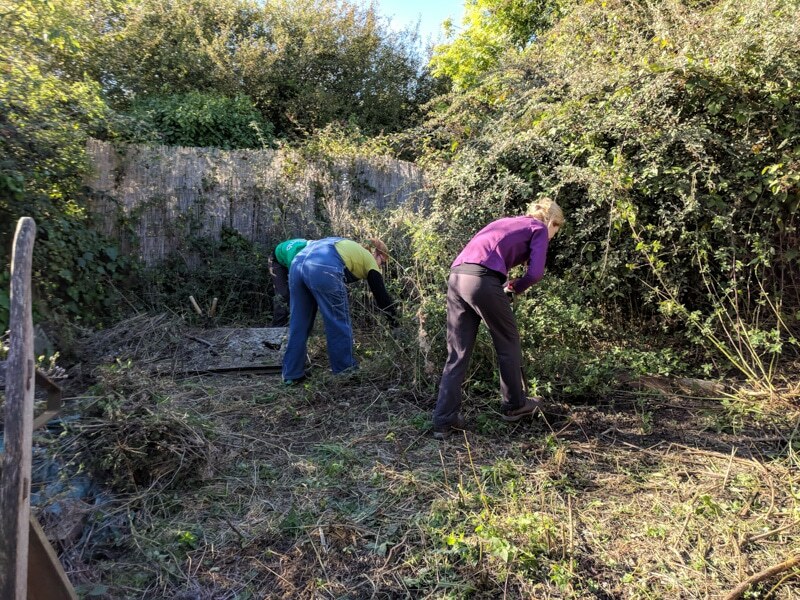 With the volunteers fed and watered, energy levels were back up which meant there could be no better time than this to tackle the plot at the back of the house! We were going from creeping, ground cover weeding to all-out weed whacking in the chicken coop plot. 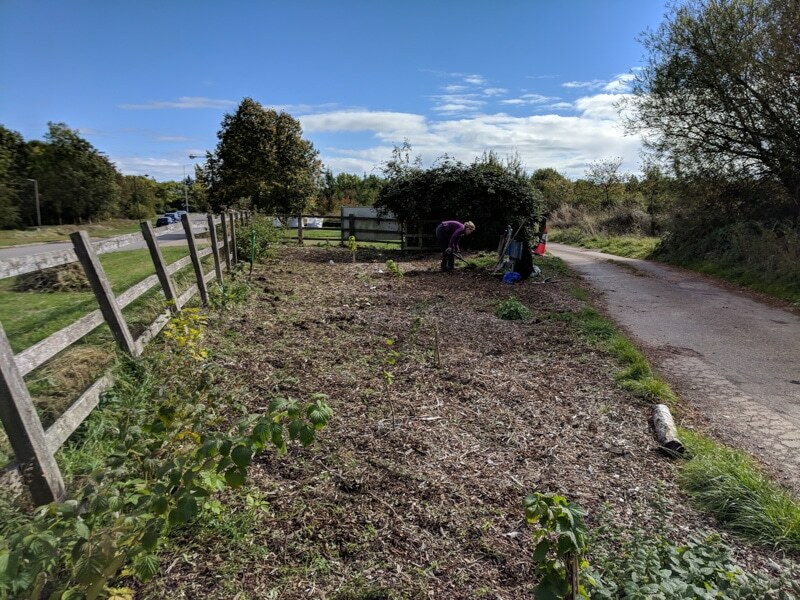 The nettles, thistles, dock and grasses were at waist level – reminiscent of what the Forest Garden plot started out like last year – so demanded some serious cutting back, using whatever method necessary. Each volunteer seemed to take a different approach to getting stuck into the coop plot. 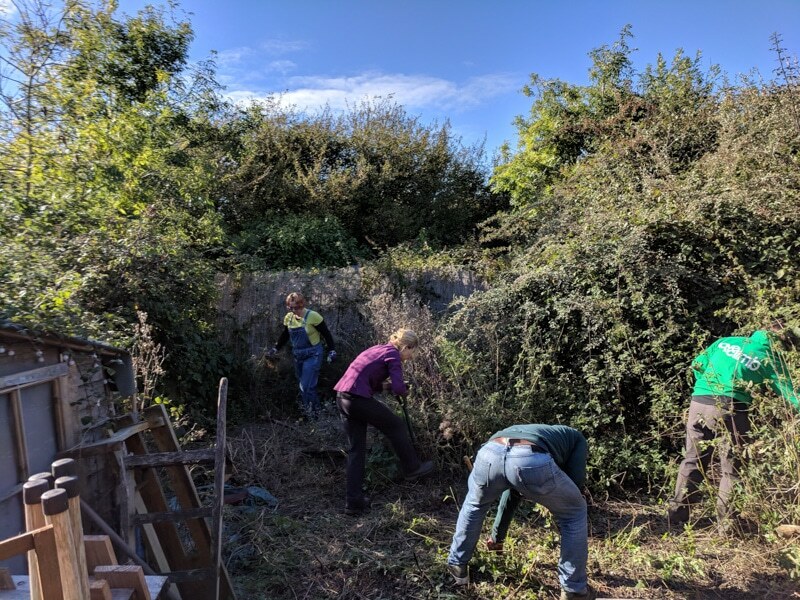 Some were digging, others were lopping and then there was Richard who appeared to wrestle with the biggest weeds that got in his way! 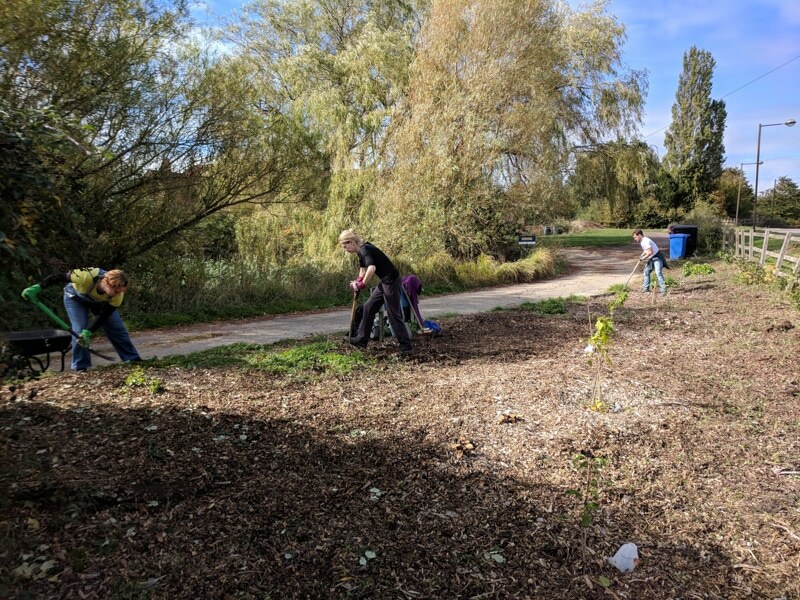 It was a messy, somewhat prickly affair, but there was no stopping each and every one of the group. A tremendous amount of effort went into clearing as much ground as possible before the 4pm closing time deadline. You can see from the pictures how it was transformed. Big thanks go to the Network Rail team for all their help. They’ve given us a fantastic kickstart for us to continue managing the plot, and to keep on top the weeds, in future. Our next job is to finish cutting back the edges and begin a lasagne mulch to prepare the ground for planting next year. 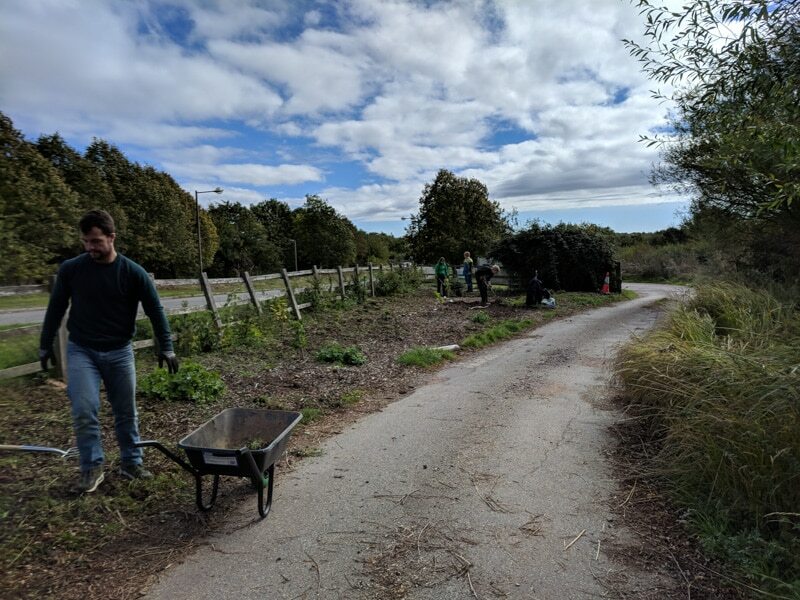 Our next volunteer Permablitz for us to work on the gardens is scheduled for Sunday 14 October from 11am – 1pm (with “bring & share” lunch to follow). Everyone is welcome to join in. 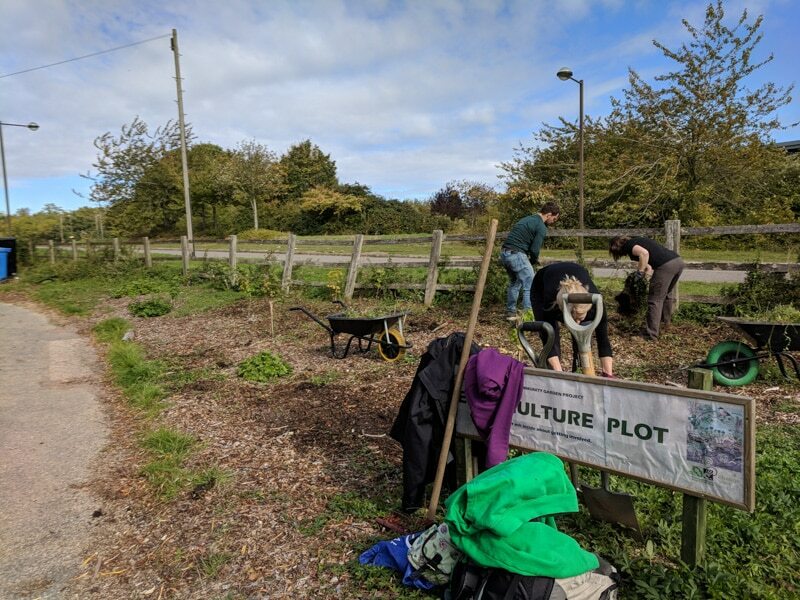 See here for more information, or contact info@plantingup.co.uk to let us know you’re coming along. 3hrs That Changed How I Think About Food!